Singapore dividend stocks are one of the underappreciated gems of investing in Asia. The Singapore market has a strong income culture, with most firms paying out dividends from relatively early on. It’s also generally seen as less glamorous than neighbouring markets and tends to trade on lower valuations. As a result, you can often buy into very solid companies at surprisingly high yields. This is the second part of a review of Asian income funds and emerging market income funds for UK investors, focusing on investment trusts. Click here for Asian income funds – unit trust and oeics. There are three Asian income investment trusts in the UK market. And it shows how keen investors now are on the income theme that none trade at a significant discount to net asset value (NAV) – for most ITs, a small discount to NAV is normal. Asian income funds and emerging market income funds may sound like a contradiction. After all, Asia and emerging markets are supposed to be growth investments. So why turn to a growth market for income? In fact, Asian income and emerging market income are themes that make a lot of sense when choosing funds, for several reasons. First, emerging market dividends are no myth. Many emerging markets stocks now have a culture of paying high dividends, so they make up a major part of investment returns in several countries. Dividends accounted for 30% of Asia ex Japan returns over the past decade – about the same as in developed markets. If you hold your foreign stocks in an Individual Savings Acount (ISA) or Self-Invested Personal Pension (SIPP), you’re sheltering them from UK tax as much as possible. But you may still be paying more tax on them than is absolutely necessary. That’s because many foreign governments impose withholding tax (WHT) on dividends before they even reach you. And in many cases, they are charging WHT at a higher rate than they are supposed to under their double taxation agreements (DTAs) with the UK. Many investors don’t read the rules on this and just accept what they get. But if you understand how it works, you may be able to reclaim a sizeable amount of tax from abroad. You could even get an extra 15% tax break on American dividends in your SIPP that most investors don’t know about. To find out how, read on. 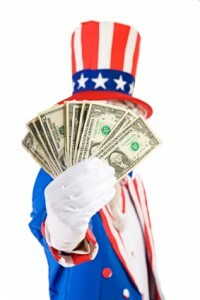 This article briefly explains how to reclaim withholding tax on foreign dividends. If you’re looking for an fuller explanation of how foreign dividends are taxed and why you could be paying too much, see this article on tax and foreign stocks (it’s aimed at UK readers, but the principles apply to many other countries). If you want to understand the situation for ISAs and SIPPs specifically, see this article. 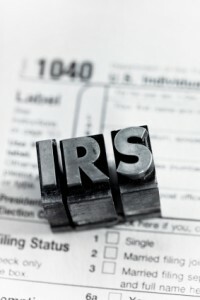 If you’ve had too much withholding tax (WHT) deducted from your foreign dividends, you can often reclaim the overpayment. Doing so involves writing to the tax authorities in the country that the company is based in and asking for a refund. For some countries, this is pretty simple. Others going out of their way to make it as hard as possible. Frankly, except in countries with simple and well-established procedures, you may end up questioning whether it’s worth it or not. Obviously, if you have substantial dividend income from a particular country, you should probably make the effort. But whether a 5-10% difference in tax on the income from a small shareholding is really worth the time, effort and sanity needed to deal with tax officials around the world is up to you. Below, I’ve listed the rules and forms for several major countries. In some cases, you may be able to get your stock broker to do much of the work, so check before tackling all the forms yourself.